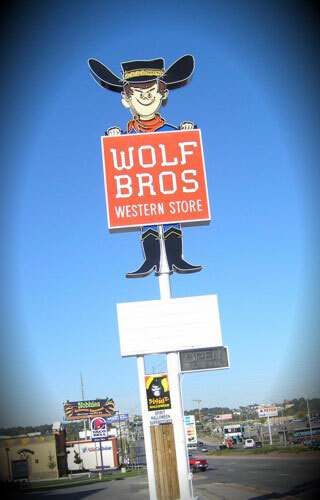 Wolf Brothers, a family-owned western store, has been in business since the 1950's. They specialize in customer service and feature only the best in western apparel and accessories. The Wolf Bros sign, another recognizable Omaha icon, has not needed a full restoration yet. When traveling down Dodge, you can’t help but notice him. This cowboy even survived the tornado of 1975. We have been providing on-site maintenance to keep it from deteriorating and forcing a full restoration. This cowboy will be smiling down on cars for a long time to come.